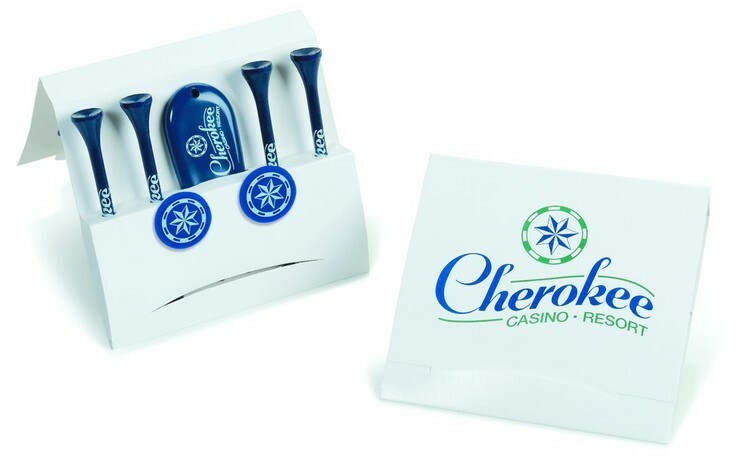 Matchbook style 7 piece golf accessory pack including 4 imprinted pro length plus tees, 2 imprinted golf ball markers, and 1 imprinted divot repair tool. Matchbook also includes imprint. 1 1/16"x5/8" divot imprint area.